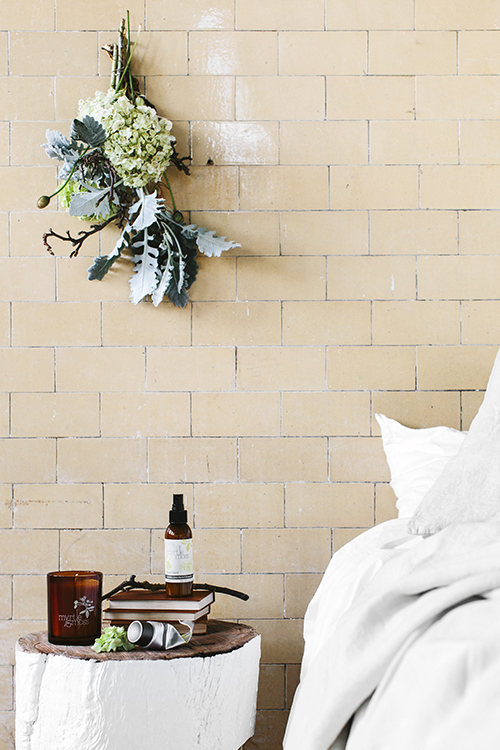 FK chats to Georgina of heavenly skincare label, Myrtle & Moss. 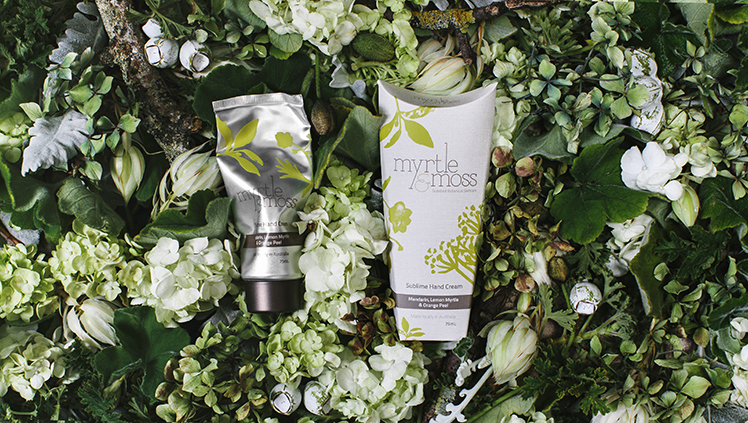 Tell us about your label Myrtle & Moss and what the concept is behind it? 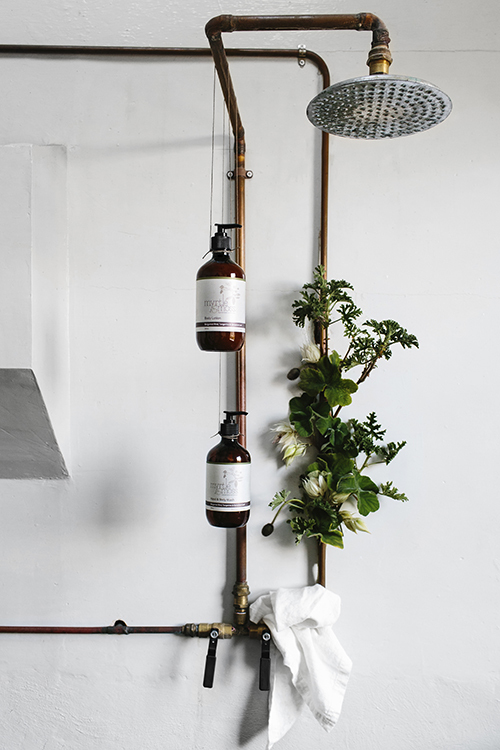 Since its inception the singular desire has been to create a product range that gives an ‘incidental sensory delight’ with products that look, feel and smell superlative. 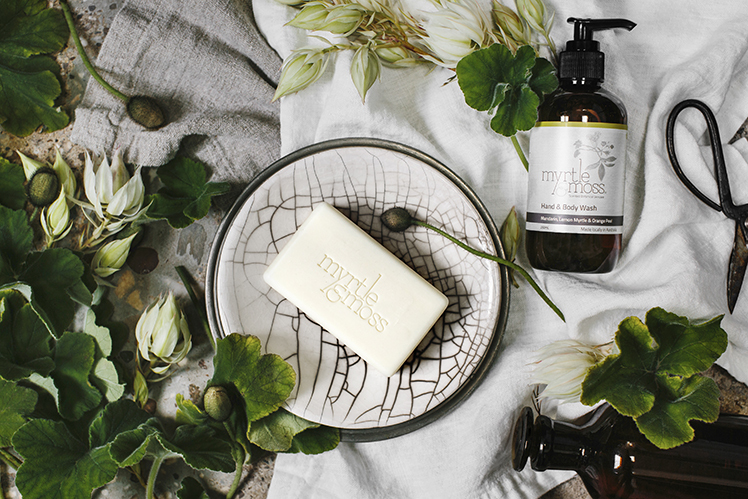 Myrtle & Moss aims to present the product in stylish packaging with attention to detail that ensures the range looks stunning in the retail environment and co-ordinates with ‘style savvy’ bathrooms creating the ultimate bathroom accessory. Other Melbourne Designers, The Design Files and reading gorgeous magazines like Cereal, Kinfolk, Gatherer Journal and Monocle. We love going to design markets like Finders Keepers and trade events to catch up with other small businesses. It can be isolating working in a small business, so it’s great to have a network of other designers to chat about new ranges, suppliers, stockists, BAS, bookkeepers, couriers etc etc – some, if not all creative discussions!!! We share our workspace with an author of botanical books, so we have access to wall of stunning old books on everything from 19th century fruit models to European historic gardens. As well as all the lovely literature we do have 100’s of cardboard boxes full of stock. 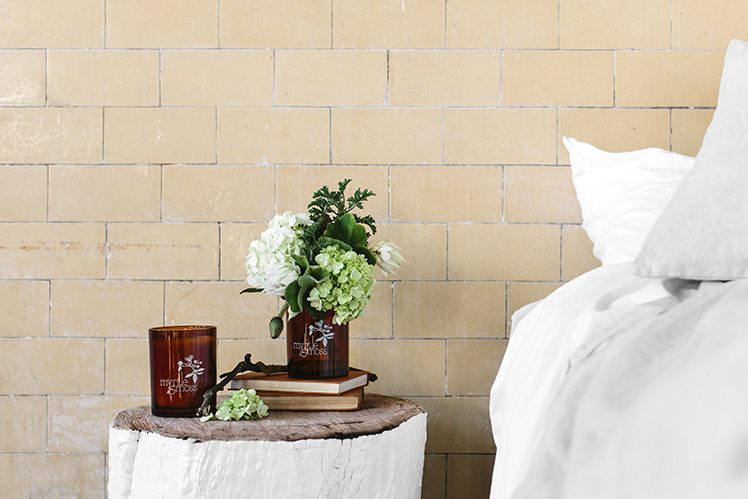 To counter balance the boxes and books, there are plenty of arrangements of flowers and botanical pickings. The workspace does smell superb, as we use essential oils in the range. What do you love about working with skincare? Working with our gorgeous stockists and meeting our lovely customers many of whom have supported us for a number of years. What new projects are you working on and where would you like to see Myrtle & Moss in the future? We’ve just launched a lovely linen pouch containing 50mL travel size samples of the top selling ranges in the signature scents. 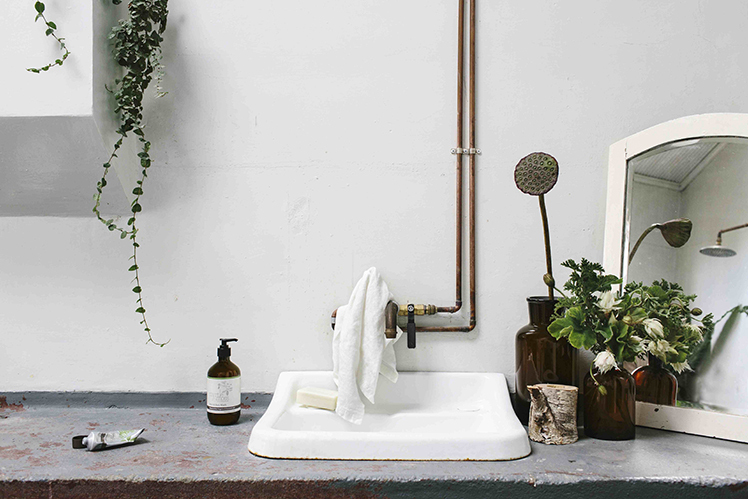 We have plans for a collaboration with a like minded brand to do a joint Myrtle & Moss product.